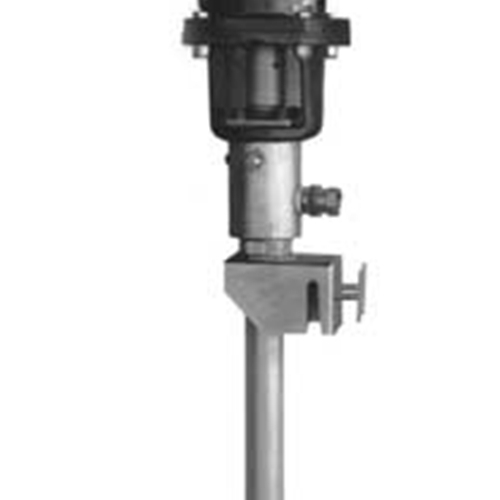 This is the old traditional "Air" operated material pump. Due to its "Chop Check" lower end, it is best used for fibrated and heavier Viscous materials. This lighter weight system include a pump hanger assembly, air regulator with gauge, Air King couplers, muffler and a swivel adapter for a hose. This unit requires a 125 C.F.M. compressor and will pump 3 gallons per minute at 2200# per square inch.